Aspen Parks & Resorts for your next family holiday! 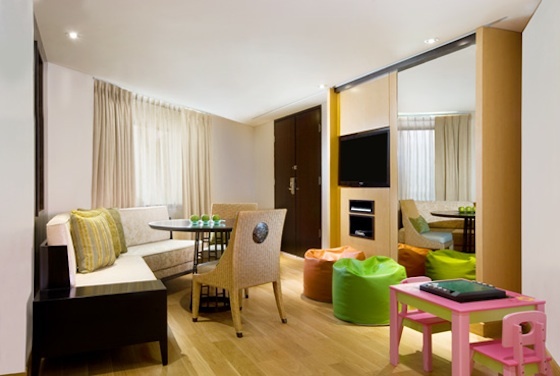 Our expansive Family Suite is designed to make travelling with the family fun and easy. These contemporary suites at our ideal family hotel in Bali offer two bedrooms and a family room with plenty of space for everyone to relax and reconnect after an exhilarating day. A sleeper sofa in the kids’ bedroom is large enough to accommodate an adult. fered e.g. interconnecting rooms, roll out available, multiple bedrooms or cabin/villa sleeps 5 etc. 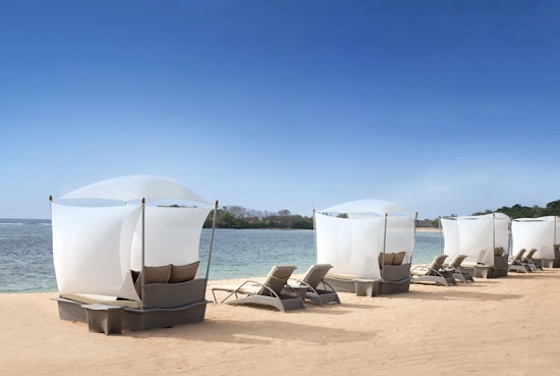 The Westin Resort Nusa Dua, Bali prides itself on being a family-friendly destination that takes the needs of parents and their children into careful consideration. From a special menu offered in various restaurants to token gifts presented upon arrival and of course Westin Kids Club® for the young ones to enjoy fun play times through to educational activities for age 4 to 18 years. 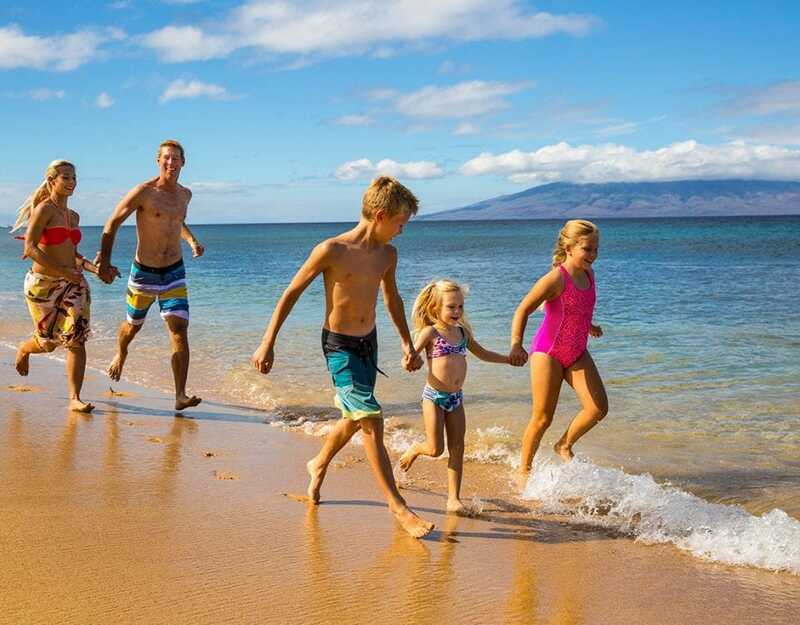 The Westin Resort Nusa Dua, Bali prides itself on being a family-friendly destination that takes the needs of parents and their children into careful consideration. While a holiday is all about spending quality time relaxing with loved ones, it is important to remember that youngsters also need fun activities to keep them occupied. Therefore, Westin Kids Club® is the perfect solution to ensure that little guests are entertained during their stay at no extra charge. Westin Kids Club® is a supervised care facility that provides a nurturing environment for in-house children. The Westin Kids Club is a fully supervised interactive environment that offers fun, games, and educational activities courtesy of Westin. Children between the ages of 0 and 3 are welcome to visit toddlers area when accompanied by an adult. A fully supervised section just for toddlers is completed with a shaded playground featuring slides, swings, rideable cars and other cool toys. For quiet time indoors, the club has mini activity tables, Lego and early learning playthings. A set of bunk beds as well as giant floor cushions are also available to accommodate little ones in need of an afternoon nap. 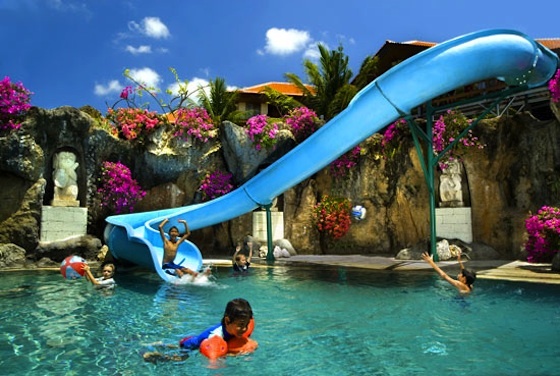 Renowned as one of the most visited Bali family resorts in the area, the spacious outdoor playground caters to children between the ages of 4 - 12 and features fun activities such as face painting, pizza making, kite making, fishing, movie night, stargazing and many more. The Teens Zone is a brand new addition to our Westin Kids Club where youngsters aged 12 and above can simply hang out. It is a clean-line space with relaxing beanbags and personal window seat pods equipped with Nintendo Wii and PlayStation 2. This specially designated area has internet computers along with a well-stocked library and a home theatre showing movies throughout the day. Also unique to Westin Kids Club is a small spa facility where youngsters can enjoy a session of personal indulgence just like mum and dad. Young spa-goers will love Westin Kids Spa. Westin Kids Spa offers a nurturing menu of treatments for little ones including mini manicures, hair braiding and special holiday pampering. Westin Kids Club® gives parents complete peace of mind in knowing that that their precious children are being professionally taken care of in a safe environment. Mums and dads can take some well-deserved personal time to indulge in a feel-good spa treatment without feeling guilty. Mums and Dads can enjoy a relaxing spa treatment in the award winning Heavenly Spa which was voted Country Winner for category Best Luxury Wellness Spa and Finalist in Best Luxury Day Spa in 2014 World Luxury Spa Awards. 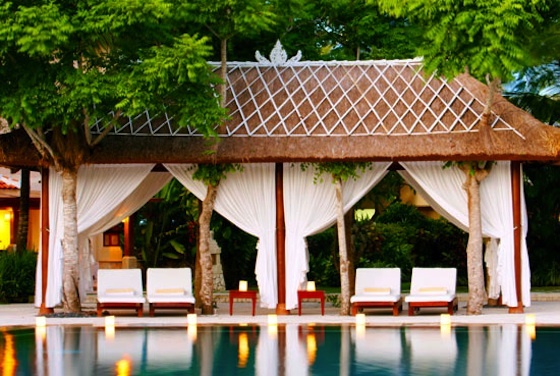 This nature-inspired sanctuary offers a nurturing menu that combines traditional spa services and healing practices with holistic programs for body, mind and spirit rejuvenation. Enjoy some heavenly time with your loved ones with a combination of his and hers rituals or take a reviving treatment of Heavenly Signature Massage. 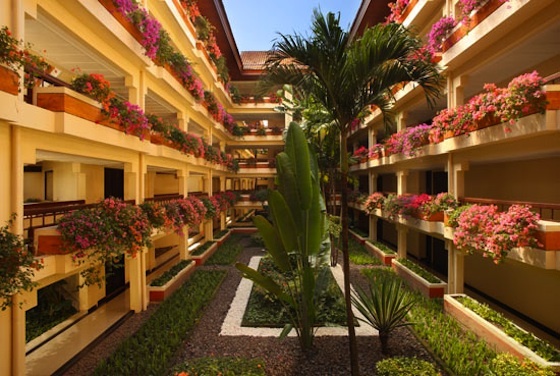 Also take an uplifting time at thermal facilities featuring a hydro-pool, salt wall sauna and steam room. From the day of arrival, Westin Kids aged 4-12 years will receive their very own bag filled with fun amenities. Start with beverage canteen which can be refilled FREE OF CHARGE at the Veranda Bar with selected soft drinks and juices, world map, a “Make Your Own Post Card” kit and Westin Kids Club Sun Safe Hat. And for the little ones, we have an “infant amenity bag” with handy items including a rubber duck, night light and socket covers.